Minister of Finance, Kemi Adeosun has been given another appointment by the acting President, Yemi Osinbajo. The Federal Government has announced the appointment of the Minister of Finance, Kemi Adeosun as the Chairman, Board of Directors of Nigeria Bulk Electricity Trading Company, NBET. 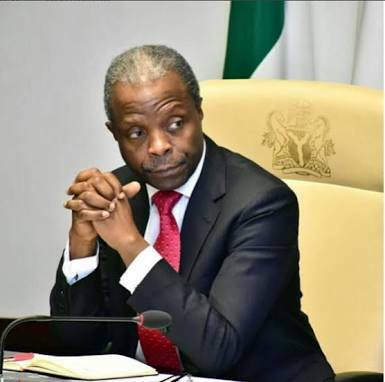 The Director of Information, Federal Ministry of Finance, Hassan Dodo in a statement on Wednesday in Abuja, said that the appointment was approved by the Acting President, Yemi Osinbajo. According to the Ministry’s spokesman, the Director-General, Bureau of Public Enterprises is the Vice-Chairman of the Board and the Minister of Power, Works and Housing will serve as Non-Executive Director. Other Non-Executive Directors of the Board include Directors-General of Debt Management Office, DMO, Budget Office of the Federation and the Managing Director, Asset Management Company of Nigeria. The Managing Director of NBET, Marilyn Amobi, is also a member of the reconstituted Board. Meanwhile, Mr Dodo in an earlier statement announced the appointment of Femi Adewole as the Managing Director of Family Homes Fund. Family Homes Fund is an initiative of the Federal Government aimed at facilitating affordable housing delivery by entering into specific partnerships with supportive state governments, developers and International partners. According to Mr Dodo, Mr Adewole’s appointment followed a competitive and rigorous recruitment process conducted by PricewaterhouseCoopers, a renowned multinational professional services organisation. Mr Adewole is a real estate and housing professional with more than 25 years’ experience, leading housing initiatives across Sub Sahara Africa and the United Kingdom. Until his appointment, he was the Managing Director of Shelter Afrique, a Nairobi based pan-African housing finance company.